My first career began in the software industry in Austin, Texas. I did a lot of graphic design and website design & development before returning to school for photography. I lived in England for two years before moving to Georgia. 2019 is my 15th year as a full-time photographer! I love to buy old homes in need of TLC and save them from demolition. I’m currently finishing up my latest project: a mid-century ranch house in Douglasville, GA. I can be a bit of a foodie, but I love everything from PB&J sandwiches to Michelin-starred cuisine. I switched to a vegetarian diet in 2017, so I’m constantly looking for new recipes to try. This gal is also into cars. I photographed the US Grand Prix a few times and prefer Formula 1 to NASCAR. I’m currently restoring my 1991 Miata back to original factory condition as much as possible. I try to take an international trip every other year or so. My last trip was to India & Thailand, and it was amazing! Shannon Belletti grew up in East Texas and has been taking photographs for as long as she can remember. She earned a Bachelor’s degree from the University of Texas at Austin and has studied both traditional film and digital mediums. Shannon began her career by partnering with award-winning photographer Tony Woods at his high-end portrait & wedding studio in Surrey, England. 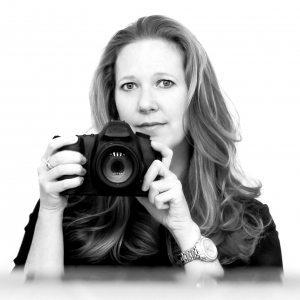 Upon returning to America in 2006, she established her own business, Belletti Photography, and has photographed over 200 weddings around the world. Her shooting style is best described as a modern blend of photojournalism and classic portraiture, and her images often reflect a timeless appeal. Shannon’s portfolio includes celebrities such as: Kendra Scott, Eric & Lucy Nicoli, Brett & Jessica Gardner, and Nick Faldo. Shannon specializes in wedding & event photography, but she is also known for her family portraits and real estate photography as well. Shannon is the founder and managing director of the Georgia School of Photography, a school dedicated to bringing working professionals and amateurs together to promote learning and enjoyment of photography. In addition, she personally teaches a variety of photography classes & workshops alongside other talented professionals. You can find course listings, schedule and registration information on their website.